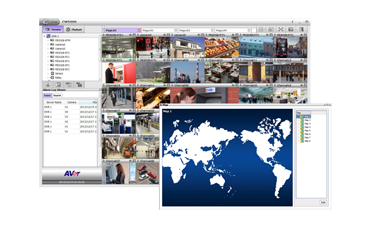 AVer's NVRs and Surveillance Software offers a full range of hardware and software to meet all of your surveillance needs. Users can integrate our NVRs and Hybrid NVRs effortlessly regardless of whether they are analog or digital users. Our video intelligence increases security, saves storage space and allows for effective monitoring of alarms. For remote management of our latest NVRs, our central management system comes equipped with the latest features, helping create your smart surveillance solution. 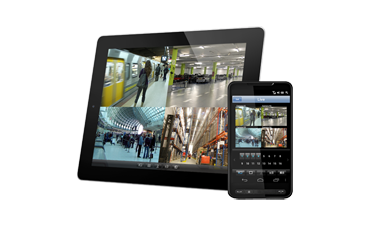 For those who need to keep on top of things when out of the office, our mobile apps allow remote access from handheld devices and our video management software allows you to monitor up to 36 IP cameras from your PC. AVer's HD NVRs are highly advanced IP video surveillance solutions designed to accommodate fast-growing Internet infrastructures. By consolidating video management among different IP camera brands, our NVR lineup can support up to 36 IP cameras with real-time recording for camera search and configuration through the intuitive GUI. Moreover, these NVRs are backed up by a complete CMS as well as mobile control and access integration, letting you achieve total remote and centralized monitoring. Integrated with sophisticated intelligent video software, AVer's NVRs can perform different video analytics and advanced alarm management, helping you to build a high-efficiency IP surveillance system. 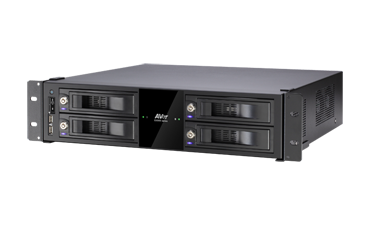 AVer’s Hybrid NVR lineup includes embedded Hybrid NVRs, and hybrid capture cards that offer 4/8/16/32 and even 36CH of video inputs. AVer’s hybrid solutions can simultaneously support IP cameras and analog cameras, which provide simplicity and flexibility by allowing users to deploy IP cameras in critical areas for megapixel image quality, while utilizing the existing analog infrastructure to lower the total security cost. They are supported by real-time recording and display, massive internal and external storage capacity, easy integration of general POS protocols, advanced alarm notifications, as well as powerful CMS and mobile control & monitoring platforms such as iPhone, iPad and Android mobile devices. These mobile applications provide remote access to monitor live videos anytime and anywhere on a mobile device.